Big dreams for EVs in China. On December 11, Volkswagen showed its three new PHEV members, the Touareg PHEV, the Magotan GTE Concept and the Tayron GTE Concept. In 2018, VW brand introduced no less than nine new models and launched the “Move Forward” initiative. In the coming 12 months, the brand’s NEV models will be doubled to six. At the PHEV workshop, it was revealed that Volkswagen is ambitious to build 1 million new energy vehicles (NEVs) per year in China by 2025. Consumers will have wide choice of BEV versions and all new models are expected to be fully connected from 2019 on. The Germany brand divides its NEV initiative in China into three phases, which starts with locally-produced or imported PHEV or GTE models. 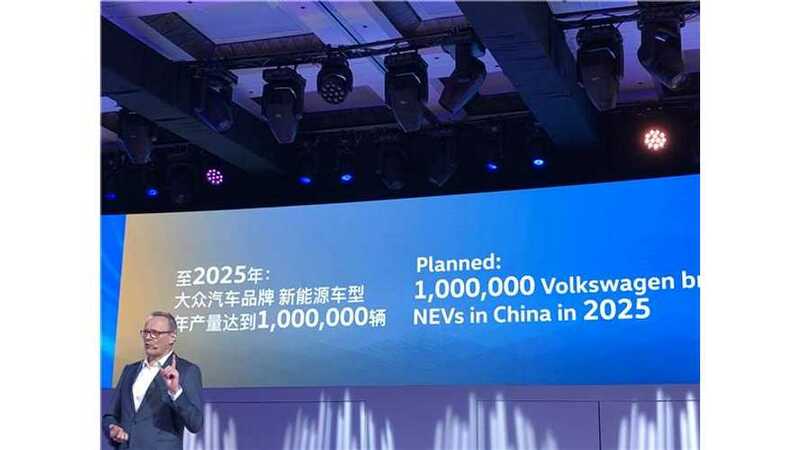 By 2020, VW’s NEV full range in China will boast at least 10 NEVs and the local NEV production will be up to 300,000. At the third phase, the automaker points out that all BEVs will be built on its innovative vehicle architecture, the MEB platform in 2020/2021 and features new design as well as enhanced user experience. In order to realize its ambitious sales target, VW needs to build a strong and flexible NEV production network. The company’s next step is to build up a global NEV production network. In the future, the automaker will have seven NEV production sites in China, one in the USA, and ten in Europe.